The Confederation of Independent Trade Unions in Bulgaria (CITUB) insists that, parallel to the wage indexing effective July 1, provisions are made for a 10 per cent rise of wages in the public-financed centre as from October 1, 2008, CITUB President Zhelyazko Hristov told a news conference on Wednesday. CITUB argues that this adjustment should not merely offset inflation but guarantee a real-terms increase on an annual basis, commensurate to what was achieved in 2007, BTA reported. CITUB expects an average annual inflation of 11-12 per cent for 2008. The amalgamation proposes that the Government take urgent measures in the medium term about prices and pricing, income from work, social assistance, single financing standards, 2000 tax policy and collective bargaining. The proposals will be discussed and approved shortly by the CITUB Coordinating Council, after which they will be submitted to the institutions. The minimum monthly wage should be increased to 260 leva as from January 1, 2009, which would be 124 to 134 per cent of the poverty line, the CITUB prposes. 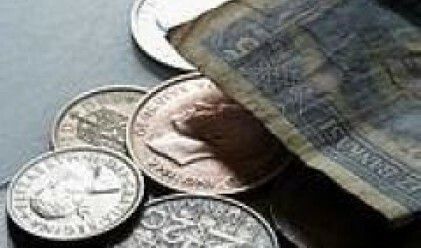 It recommends a 19.76 per cent rise of industrial wages in 2008. Hristov said that at 255 euro in March 2008, Bulgarian wage-earners' monthly pay ranks last in the EU and below the successor states of former Yugoslavia, where wages vary from 300 to 700 euro. At the same time, the average price level in Bulgaria reaches 46 per cent of the EU level. Most EU countries report a price rise of 2-3 per cent, whereas Bulgaria's inflation stands at 15 per cent and food prices have soared 25 per cent. The amalgamation estimates that owing to the surge of the prices of stape foods, fuel and energy, the cost of living in Bulgaria will rise by some 17 per cent on an annual basis and the average annual increase will approximate 14 per cent. CITUB proposes an increase of the guaranteed minimum income from the present 55 leva monthly to 50 per cent of the official poverty line. The amalgamation also presses for revisions of the Ordinance Establishing a Procedure and Terms for Grant of Action Allowances. CITUB argues that action allowances should be grantable during the heating season itself and submission of requests should not be limited to the period from July 1 to October 31. CITUB proposes an updating of the value of clinical pathways as from July 1, 2008, an urgent elimination of the reasons for underfinancing of health care and addressing the problems with patients' co-payment fees. Regarding 2009 tax policy, the amalgamation stresses the need to improve flat income tax arrangements to protect low income brackets by introduction of a tax threshold geared to the amount of the national minimum wage.